In this third and final blog post on the topic “3 Ways to Increase Your Confidence in Prayer” we shall be considering how to overcome a third major debilitating issue that undermines confidence in prayer, the mischaracterization of God. By mischaracterization I am referring to any view of God that distorts His gracious, loving, and benevolent nature. In previous posts we saw how 1) Applying the Blood of Jesus is God’s provision in dealing with condemnation and how 2) Asking for a Spirit Given, Word Based Prayer is God’s answer for settling any confusion around praying according to the will of God. So, without further ado, here is how anyone seeking God in prayer, can do so confidently by identifying and rejecting misleading views of God, while embracing an accurate understanding of His divine nature. 3) FOCUS ON GOD’S “DONE” INSTEAD OF YOUR “DO” – Confidence in God is antithetical to having confidence in oneself. This is a distinguishing characteristic of Christianity which, unlike all other religions, bases the benevolent acceptance by God on what He has done for His followers versus what they must do for Him. This done versus do religious dichotomy is rooted in two fundamentally different understandings and portrayals of God. The God to whom the Christian relates and approaches in prayer is a loving, gracious Father who has already done for His children what they cannot do for themselves. The forgiveness of sin, a righteous standing, and the promise of eternity are fully provided by God through the gift of His Son (John 3:16). This explains why the Apostle Paul writes “because of Christ and our faith in him, we can now come boldly and confidently into God’s presence” (Ephesians 3:12 NLT). In contrast, the god whom all other religions portray is a deity who demands religious deeds that a person must do in order to earn their love, acceptance, and favor. With regard to prayer, this divergent done versus do characterization of God has a direct influence on the level of confidence with which a person approaches God and presents their requests. The danger, albeit temptation, for the praying Christian is to view God as someone they must do something for, to get His attention and gain His favor. This pitfall always causes us to cease putting confidence in Him and what He has already done. It deceives us into placing our confidence in our own self effort as to what we think we must do. Appealing to God based on the fluctuating ground of our attempts, rather than generating confidence, robs us of a rock solid confidence in God. In the realm of prayer, engaging in an intimate relationship with God is both the means by which we are meant to pray and the end purpose of prayer itself. This is why we are told that the “prayer of the upright is His delight” (Proverbs 15:8 NASB). God loves it when His children choose to spend time with Him in prayer. It is in that very action that a relationship with Him is deepened. Jesus expansive prayer life and His many teachings on prayer spoke volumes regards the critical importance of the interconnectedness of prayer and relationship with the Father. 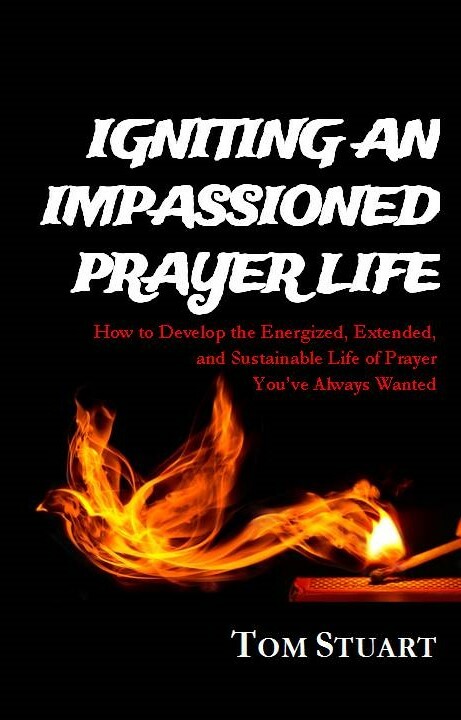 This is because prayer is the pathway in getting to know God and knowing God in turn is what fuels a life of prayer. One of the greatest sources of confidence in prayer is in knowing intimately the person and character of the God whom we seek. The author of Hebrews emphasizes this in writing that confidence (faith) rests in both believing God exists and “that he rewards those who earnestly seek him” (Hebrews 11:6 NIV). It is specifically this belief in the magnanimous generosity of God, based upon the experience of having Him reward us when we earnestly seek Him, that instills confidence in Him as we pray. This confidence in our heavenly Father is not unlike the confidence and implicit trust a child has in the attentive faithfulness of their earthly father. “But blessed is the one who trusts in the LORD, whose confidence is in him” (Jeremiah 17:7 NIV Emphasis added). No matter the outcome, we know the answer comes from a loving Father. What a confidences builder it is when we choose to focus on the fatherly nature of God as we come to Him with our requests. After all, being children of the heavenly Father makes us royalty with all its accompanying benefits and privileges. As King’s kids we can naturally expect that our Father will grant our requests “out of His glorious riches” and “no good thing will He withhold from” us (Ephesians 3:16 NIV & Psalm 84:11 NIV). Reminding ourselves of His desire to give us only what is best for us instills in us a quiet confidence and rest in His fatherly love (Isaiah 30:15). To whom are you looking as you approach God in prayer? Are you focused on Him and what He has already done for you? Or are you focusing on what you must do to be heard? How you answer these questions reveals your view of God. If your view of God is a mischaracterization of His fatherly nature, you can pray this simple prayer: Father, I know you love me, and have already done for me what I mistakenly think I must do for myself. Through your Son, Jesus Christ, you have forgiven me, made me righteous, and accepted me as your child. I therefore come to you on that basis, with great confidence, knowing as your son/daughter that you delight in hearing and answering my prayers.